Posts related to sustainable development, population control, or depopulating. 17 May 2016 – The global sustainable development agenda recognizes the great potential of information and communication technology to accelerate human progress, bridge the digital divide and advance knowledge, United Nations Secretary-General Ban Ki-moon said today, marking World Telecommunication and Information Society Day. Urging governments, businesses and civil society leaders to develop new technologies that have a lasting social impact in his message for the Day, the UN chief highlighted that the 17 Sustainable Development Goals specifically call for employing information and communication technology (ICT) to realize the overall vision of a life of dignity for all people. In his message, Mr. Ban highlighted that start-ups and technology hubs in the ICT sector are the drivers of innovative and practical solutions that can contribute to inclusive growth. Small to medium-sized enterprises make up more than 90 per cent of all businesses worldwide, and represent a path out of poverty for many developing countries. Noting that young people are especially fluent in the use of ICTs, the Secretary-General said that leaders should invest in young innovators, who are part of the largest generation of youth in history. “As entrepreneurs, they can pioneer transformative technology, create jobs and benefit whole economies,” Mr. Ban stressed. In addition, the Secretary-General said that ICTs can create more inclusive societies for persons with disabilities. “They can help children to learn and the elderly to stay active. And ICTs can connect people around the world in common cause,” Mr. Ban said. “On this World Telecommunication and Information Society Day, let us resolve to harness the power of technology to create a better future for all,” he added. In another message for the Day, ITU Secretary-General Houlin Zhao said that the ICT sector is among the most profitable and successful and has revolutionized the way the world communicates. “Through a combination of forward-looking government policies and regulatory reforms, international standards, industry innovation and investment in infrastructure, and new services, billions of people have been brought into the information society in a remarkably short period of time. This is a shared achievement for which we can all be proud,” he said. Mr. Zhao noted that building on this foundation, the world is now in an increasingly smart, networked environment encompassing cloud computing, big data, and new applications in diverse areas from health to finance, while moving towards a future of smart transport systems and cities. He stressed that as the roll-out of infrastructure and connectivity is advanced, the role of services and applications will grow, along with the potential for many innovative smaller players to enter the market with solutions to address local needs. “ICT entrepreneurship is set to bring about a paradigm shift in making significant social impact. We need their expertise, innovation and investment to achieve our common goals of sustainable economic and social development,” he said. Specifically, he called on governments and industry, academia and technical experts to promote the role of small, young and innovative firms in the ICT sector; encourage the spread of digital social innovation; prioritize economic policies that promote innovation; ensure the availability of necessary human capacity; support the establishment of comprehensive entrepreneurial ecosystems; as well as assist entrepreneurs in moving from idea and innovation to sales and revenue. “Let us put our resources together to harness the catalytic role of ICTs in achieving sustainable development and delivering on economic growth, social inclusion and environmental balance,” Mr. Zhao concluded. 4 May 2016 – Integration across sectors and disciplines, and between actors and institutions, is essential to drive forward and successfully implement the United Nations development agenda, the Vice-President of the UN Economic and Social Council (ECOSOC) emphasized at the conclusion of a three-day segment on promoting integration of the three pillars of sustainable development. “Given the complexity of the new  Agenda [for Sustainable Development], the challenge of integration will not be met without innovative solutions,” said Sven Jürgenson at the conclusion of the segment at UN Headquarters in New York. Noting that this was the first Integration Segment of ECOSOC to be held since the adoption of the 2030 Agenda, the Vice-President said that the discussions were very timely. “As our general debate highlighted, the solution for the challenges of successful integration lies in instilling ownership at all levels of implementation. All stakeholders must be turned into partners in achieving sustainable development,” the ECOSOC Vice-President said. Among the key messages of the integration segment are that every country faces special challenges in implementing the 2030 Agenda, and all countries will require contextualized policy solutions to address such problems, he said. “Only through policy integration and innovation can countries surmount sustainable development hurdles in a coherent manner and in line with national priorities,” Mr. Jürgenson said. The Vice-President also emphasized that innovation does not always need to be based on novel technologies – it can be achieved by applying existing technologies in new ways and learning from situations where new approaches have worked. “We need a truly integrated policy framework but should also consider possible trade-offs. Investing in the time required for consultation across sectors and actors can cause delay in policy initiatives. What is certain is that the longer-term benefits of such investments are incalculable,” he said. In addition, he noted that a process of building on past successes and learning from failures is essential to policy integration, as is the need to equip institutions, particularly in the public sector, with the skills, tools and systems needed to forge an integrated approach to policy making. “It is imperative that the appropriate use of innovative technologies and other tools should be considered, especially given the scope and scale of the SDG agenda. There should be more sharing of innovation between the countries,” the Vice-President said. Along those lines, Wu Hongbo, Under-Secretary-General for Economic and Social Affairs, underlined that the integration segment provided an opportunity to bring together different analytical competencies, experiences and challenges in integrating the three pillars of sustainable development. “It is crucial for examining key policy questions – and there will be many new and complex issues that require continuous search for innovative solutions,” he said. For its part, the UN Department of Economic and Social Affairs (DESA) is undertaking several activities in order to support SDG implementation in an integrated manner, he said. Among the activities include strengthening and integrating its demonstrated, in-house analytical capacity in areas such as the global economy, social development, population, public administration, as well as data, statistics, financing and capacity building. DESA is also responding to Member States’ increased demand for integrated support to build national capacities for SDG implementation, as well as promoting participation of a wide range of stakeholders working towards sustainable development solutions, he said. “The UN is striving each day to support Member States to meet the high expectations set by the 2030 Agenda,” Mr. Hongbo stressed. Every year, ECOSOC convenes an integration segment for three days in May on the main theme of the Council. The outcome is a summary by the ECOSOC Vice-President highlighting the main policy recommendations arising from the discussions and providing guidance on integrating the three dimensions of sustainable development. Saudi Arabia’s cabinet has agreed a broad-based economic reform plan, known as Vision 2030, revealing how the oil-reliant state plans to diversify its economy over the next 14 years. 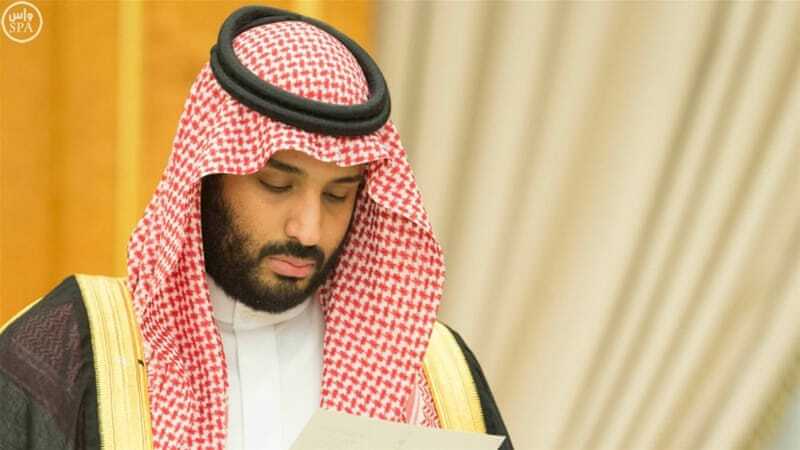 Prince Mohammed bin Salman said on Monday that the country was building up the its Public Investment Fund to become a major player in global markets. He added that Saudi Arabia was restructuring its housing ministry to increase the supply of affordable housing, and creating a “green card” system within five years to give expatriates long-term residence. Saudi Arabia will also sell shares in state oil giant Aramco and set up the world’s largest wealth fund in line with the plan, the deputy crown prince said separately in an interview with the Saudi-owned Al-Arabiya news channel after the government announced the plan. “We plan to sell less than five percent of Aramco. Aramco’s size is very big. It is estimated at between $2 trillion and $2.5 trillion,” Mohammed bin Salman said. Saudi Arabia’s economy has suffered over the last 12 months in line with the falling price of oil, with a $98bn budget deficit last year and an estimated deficit of $87bn this year. Its reserves decreased from $746bn in 2014 to $616bn today. “They have announced this kind of changes before. It is going to be very interesting to monitor the implementation of the new rules,” Ahmed al-Ibrahim, an expert in Saudi affairs and security, told Al Jazeera. “To implement some of these, you need the collaboration of society. For example, if you want to increase the empowerment of women, you need to liberalise your society,” he said. The country has proven oil reserves of 267 billion barrels and potential reserves of up to 900 billion. More than 165 world leaders have gathered at the UN headquarters to sign the Paris climate deal and get the ball rolling on plans to check global warming. Held on Earth Day, Friday’s ceremony in New York City comes four months after the deal was clinched in Paris and marks the first step towards binding countries to the promises they made to cut greenhouse gas emissions. French President Francois Hollande and Canada’s Justin Trudeau joined John Kerry, US secretary of state, for the ceremony attended by more than 165 governments, the largest single-day signing of an international agreement. While the US, China and India – the world’s top greenhouse gas emitters – will not be represented at their highest level, leaders of island states such as Fiji, Tuvalu and Kiribati, facing existential threats from rising sea levels, will formally present the already completed ratification by their parliaments. This year’s El Nino – dubbed Darth Nino – is believed to be behind droughts, floods, severe storms and other extreme weather patterns. The Paris agreement will come into force as soon as 55 countries responsible for 55 percent of the world’s greenhouse gases have ratified the accord. The target date for the agreement to begin is 2020. China and the US have said they will ratify this year and are pushing for quick ratification so that the agreement becomes operational possibly as early as late 2016 or 2017. Caught in the midst of an election campaign, the US plans to ratify the Paris accord with an executive agreement, bypassing Congress and setting up a complex process for any future president wishing to pull out. The European Union’s 28 countries are expected to take up to about a year and a half, according to Maros Sefcovic, who will be signing on behalf of the EU as vice president. 21 April 2016 – The President of the United Nations General Assembly today called on the international community to take action on the new UN sustainable development agenda in order to begin a transformation for the benefit of all people and the planet, or risk failure that will be felt for generations to come. “The choice is yours,” said General Assembly President Mogens Lykketoft as he opened the High-Level Thematic Debate on Achieving the Sustainable Development Goals at UN Headquarters in New York, which takes place as world leaders are also gathering ahead of tomorrow’s signing of the Paris climate accord. “You, the global political, business and civil society leaders can kick-start [Sustainable Development Goals] SDG implementation. You can catalyse ambitious and immediate actions at all levels. You know how to make this transformation happen,” he added. Mr. Lykketoft reminded participants that a little more than six months ago, many of them had gathered in the same hall to embrace the 2030 Agenda for Sustainable Development. “It was a moment of genuine hope in a world beset by crises – hope that was built on in Paris through an incredible breakthrough on climate change,” he said. The General Assembly President said that together, the two agreements deliver a clear message to the world: that a transformation has begun which will ensure both shared prosperity and the vitality of our planet. Since making those commitments, world events have underlined even further the need for urgent action, Mr. Lykketoft emphasized. Violent extremists have destroyed the lives of thousands around the world, while violent conflicts are threatening the lives of millions. In addition, an inadequate response to a global humanitarian and refugee crisis is undermining human rights, global solidarity and the concept of leaving no one behind, he said. For their part, the agreements, taken together, provide world leaders with a “solid framework” to address the root causes of such crises, the General Assembly President said. “But this will only happen if they are implemented with urgency; if we build on the foundations laid by the MDGs and if we manage the opportunities before us for the benefit of all,” he stressed. Over the course of the day, he said that participants would examine five key areas: how countries are responding to the SDGs; how to move money and markets to support the SDGs; how to transition from partnerships for the Millennium Development Goals (MDGs) to partnerships for the SDGs; and how climate action can help deliver on the entire SDGs, and vice-versa. Along those lines, UN Deputy Secretary-General Jan Eliasson, who spoke on behalf of Secretary-General Ban Ki-moon, underscored that the fact that today’s event was being held on the eve of the signing of the Paris Agreement was an important signal. 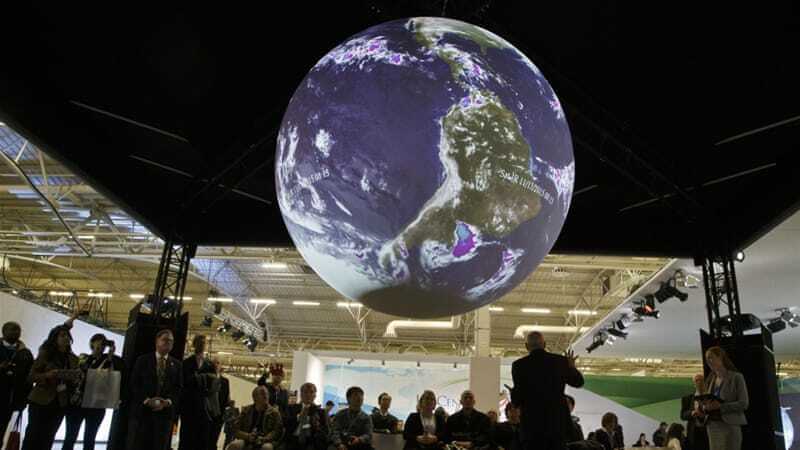 “The development and climate agendas are inseparable and mutually reinforcing. One cannot be achieved without the other,” he stressed. Member States should have a sense of “pride and achievement” for their adoption of the 2030 Agenda this past September, as it is a global blueprint for ending poverty and building a safer and more equitable world. The breadth and depth of the Agenda call for adopting new approaches and “breaking down silos,” Mr. Eliasson said, adding that no one in today’s world can solve problems in isolation.“We need to take an integrated approach to development efforts, connecting them both to humanitarian action and human rights as well as to peaceful societies and well-functioning institutions. The goals must be meaningful on the ground, which means making goals and targets relevant and adapted to national and local situations,” he said. The UN system had already begun to support countries, both strategically and operationally, to implement the 2030 Agenda. Some 95 UN Country Teams are working with their national counterparts to mainstream the SDGs into national plans, accelerate implementation and provide policy support. “Just as Governments will need to take a holistic approach, the United Nations is to take a whole-of-system approach, working horizontally and building on the strengths of each institution. Tailored UN responses will be developed to support capacity building, inspire partnerships and improve policy coherence at all levels,” Mr. Eliasson noted. 18 April 2016 – Hailing 2015 as a year of “crucial milestones” for development, United Nations Secretary-General Ban Ki-moon today said world leaders must now meet the agreed financing targets to ensure implementation of the numerous landmark agreements on eradicating poverty, building resilient societies and addressing climate change in order to put the world on a sustainable development path. The Forum runs through Wednesday and will include the Special high-level meeting of the Council with the Bretton Woods institutions, the World Trade Organization (WTO) and the UN Conference on Trade and Development (UNCTAD). Today’s inaugural session will feature presentations by the heads of the major institutional stakeholders and of intergovernmental bodies of these institutions, followed by statements by Ministers and other high-level officials. In the afternoon, there will be an interactive dialogue between UN delegations and senior officials from World Bank and International Monetary Fund (IMF). The Secretary-General recalled that this past July, world leaders gathered in Addis Ababa and adopted a comprehensive framework to mobilize and deliver the resources, technology and partnerships needed for sustainable development. He added that he looked forward to the signing ceremony for the Paris Agreement in New York later this week. Noting that the financing requirements to achieve the Sustainable Development Goals are estimated to be in the order of trillions of dollars annually, Mr. Ban stressed that mobilizing such resources will be a significant challenge, particularly at a time of continued economic uncertainty and financial constraints. “The global economic recovery remains uneven. We have not seen the strong, sustained and balanced growth needed to realize sustainable development for all,” the UN chief said. “Yet this challenge is not unsurmountable. We know that global public and private savings and investment will be sufficient – but only if they are aligned with sustainable development,” he added. Following up on the Addis Agenda is the “right starting point,” Mr. Ban emphasized, as it provides a full range of actions to realign financial flows and policies with economic, social and environmental priorities. The Addis Agenda contains more than 100 concrete policy commitments that draw on all sources of finance, technology, innovation, trade, debt and data to support the 2030 Agenda, Mr. Ban said. The global response to the 2030 Agenda must match the scope of the challenge – which means tapping into the potential of all actors to achieve the large-scale transformation needed, the UN chief said. Mr. Ban also said that investments in sustainable and resilient infrastructure are a prerequisite to achieving many global goals. In that vein, the new Global Infrastructure Forum, led by the multilateral development banks, which he attended last weekend in Washington, D.C., is an important step towards bridging this gap. “But more needs to be done. We need to step up our efforts to implement the Addis Ababa Action Agenda in its entirety,” Mr. Ban stressed. The private sector must be an active partner, in particular in areas such as the provision of urgently needed social goods, and the growing importance of South-South cooperation must also to be recognized, the Secretary-General said. In addition, he said that developing countries hosting large numbers of refugees should have access to concessional loans, noting that he is glad to see progress on that front. The Secretary-General also called for stronger commitment to humanitarian financing, which will be one focus of the first-ever World Humanitarian Summit that he is convening in Istanbul on 23 and 24 May. “With a spirit of true partnership, shared responsibility and solidarity, we can transform our global vision into better lives and greater opportunities for people everywhere,” the Secretary-General concluded. In opening remarks at the Forum today, the President of ECOSOC, Oh Joon, highlighted that the launch of the forum marked a new chapter in the history of the financing for development process. In particular, Mr. Oh said that the Monterrey Conference and Doha Conference had generated a strong momentum in advancing financing for development issues among Member States, major institutional stakeholders, and others. Furthermore, the ECOSOC special high-level meetings with the Bretton Woods Institutions, World Trade Organization and the UN Conference on Trade and Development (UNCTAD), as well as the General Assembly high-level dialogues on financing for development, have strengthened political momentum leading up to Addis. The ECOSOC President noted that for its part, today’s forum serves as a primary platform for policy dialogue on financing for development follow-up. The forum is tasked with assessing progress, identifying challenges and facilitating the delivery of the means of implementation. It is also expected to promote sharing of lessons learned at the national and regional levels, while addressing new and emerging topics. The forum also provides a platform for concrete action, enabling broad engagement by relevant stakeholders as well as Member States, and carries out its work in accordance with a strong evidence-based approach, Mr. Oh said. “I trust that this forum will provide the right space for exchange on early action taken and will chart the road map for future implementation of the Addis Agenda,” he noted. The overall theme of the forum is “Financing for sustainable development: follow-up to the Addis Ababa Action Agenda.” The inaugural segment began with a special high-level meeting with the Bretton Woods institutions, the WTO and UNCTAD.